It's my favorite time of the week! Where I recount some fun happenings that occurred. 1.) 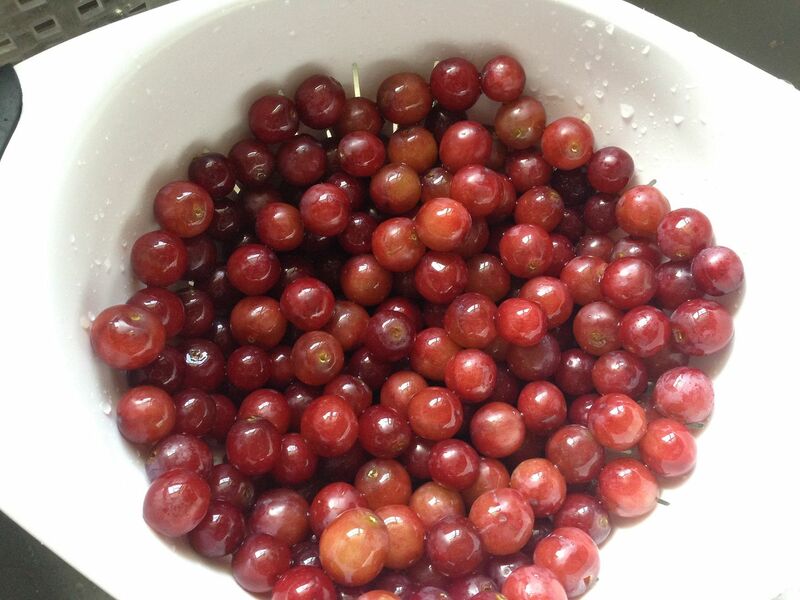 You will probably see a lot of pictures like this - GRAPES! These babies were all washed and ready to be popped in the freezer. I'm kind of addicted to frozen grapes. 2.) If there is a big grocery cart with extra seating available, you better believe that is the cart that Baby K wants. 3.) 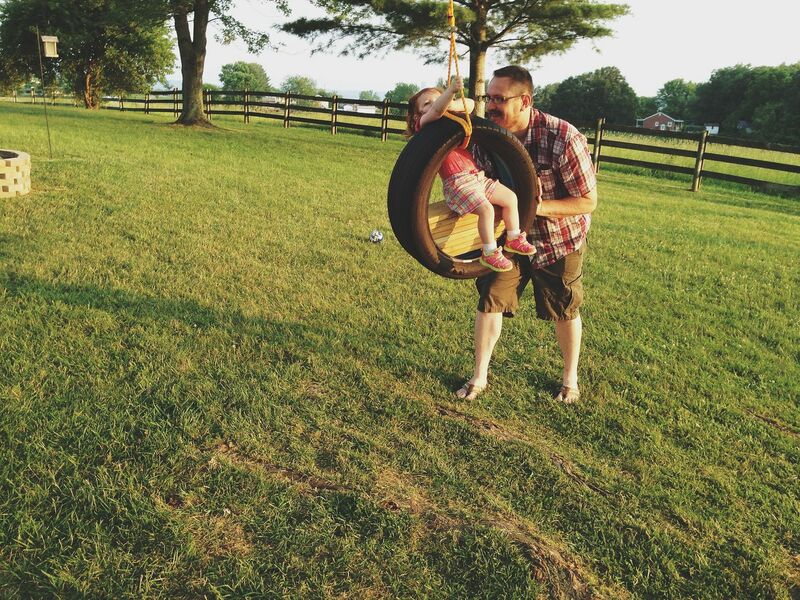 Our friends Brad and Jessi have the perfect backyard for summertime play, complete with an awesome tire swing. 4.) During the Wheels and Wagons event that we went to last Saturday, we also got to check out the Blacksburg Children's Museum. 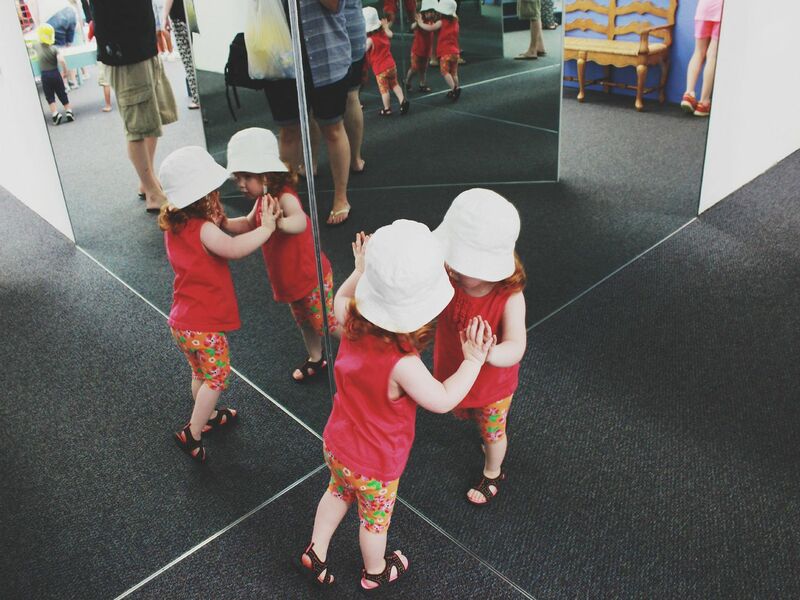 Four Baby K's...I'm fairly certain her mind was blown. 5.) 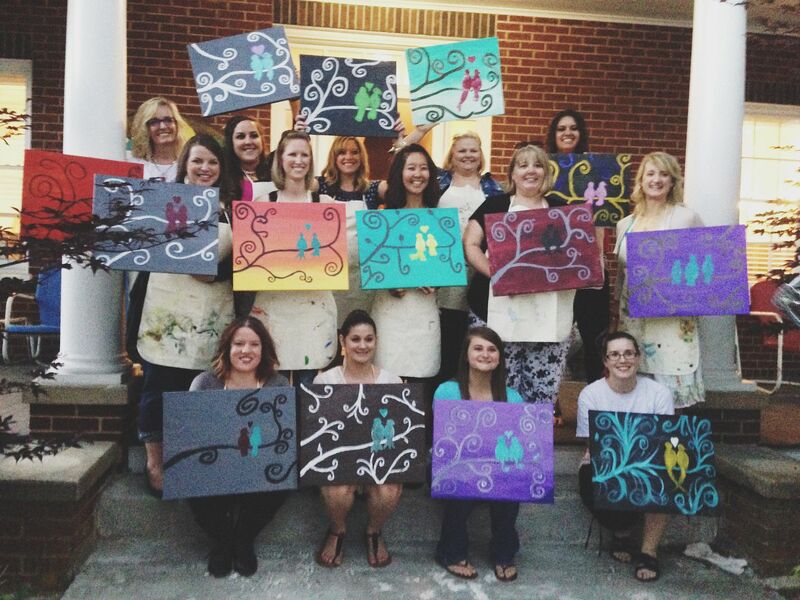 Every month we have a ladies night out with our church and this month we headed to the Artful Place in Blacksburg for a Paint Party. I don't think I've laughed that much in a long time - what a blast! I'm linking up with Bright on a Budget, September Farm, Style Elixir and Meet @ the Barre. Looks like you all made some pretty paintings! My husband and I did that once and we had a really good time! Frozen grapes are the BEST!!! 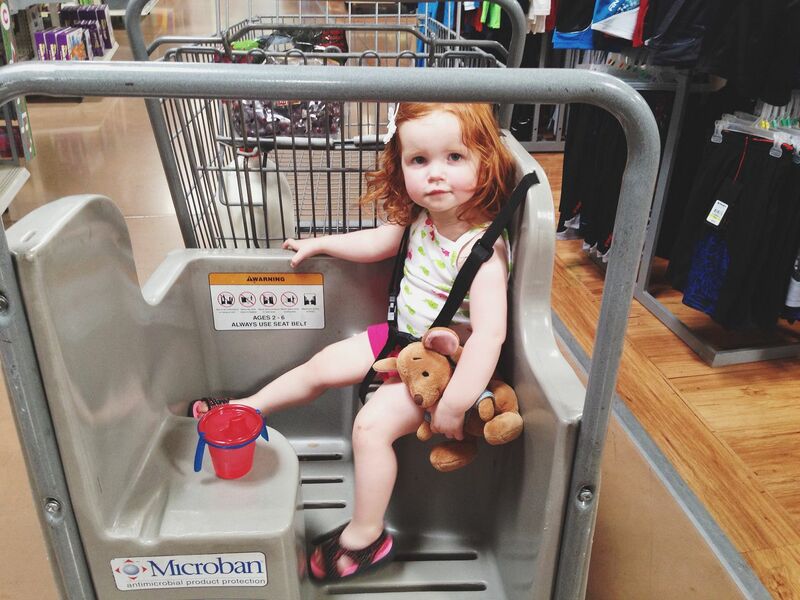 Your sweet babe is precious in that cart, looking like a lil model!! Happy weekend to you beautiful!! Ohhhhhh I really want to swing on that in that beautiful backyard!! Thanks so much for linking up!! That backyard looks amazing! I don't think you'd be able to get me to leave. We did a paint class for my sisters birthday last year and it was so much fun!